Home Startup Stories All Stories Power Up Your Days With These Healthy, Tangy Probiotic Smoothies! Two best friends from school, Ricky and Aakanksha, took their common love for food to the next level. That’s how they created Kefir Culture, a brand of probiotic drinks. It took them eight months to perfect recipe of the drink. Kefir, which is made using both the bacteria and yeast, is a one-stop solution to all gut-related issues. The tart and tangy smoothie can clean the intestine and boost immunity. Moreover, it comes with additional benefits for gut and overall health. 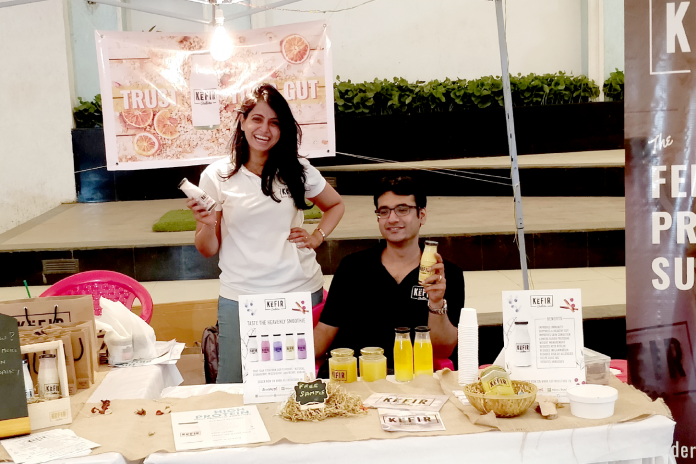 Ricky and Aakanksha launched Kefir Culture with natural flavours and a sugar-free variant made completely out of organic cow milk. The response from customers was rave. Within three days of the launch, they ran out of stocks, which prompted them to come up with more flavours. 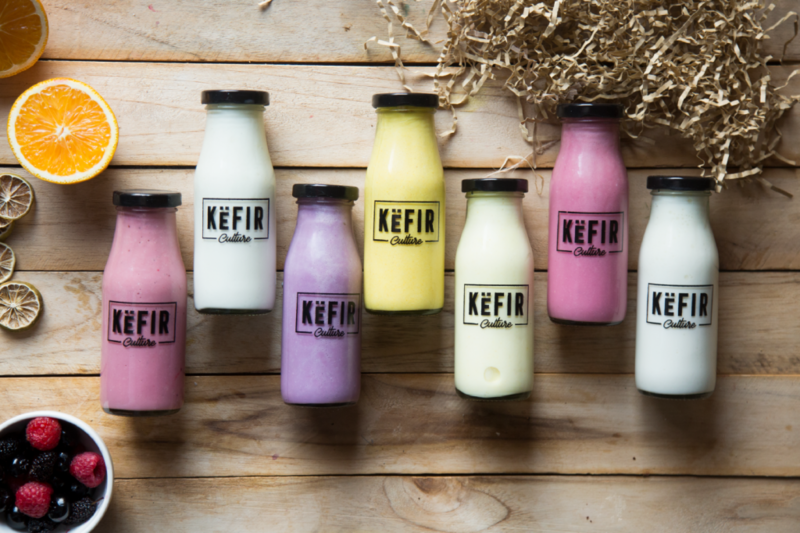 Today, Kefir Culture has a number of flavours including Strawberry, Mixed Berry, Raspberry and so on. Now their brand is set to redefine the way probiotic dairy products are consumed in India. 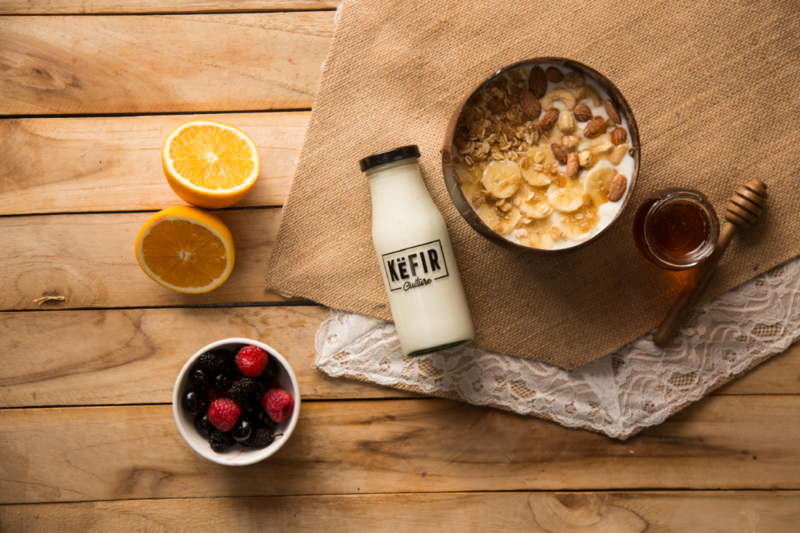 Let’s unravel the delicious story of Kefir Culture as its founders stop by to talk about their brainchild and the challenges they face in business. Probiotics like Dahi, Chaas and Lassi are staple foods in an Indian diet, where digestive problems are common due to spicy meals, fried snacks and increasingly stressful lifestyles. That’s where Kefir comes into the picture – an ancient fermented drink that is a lot like yogurt in consistency, but is much more beneficial for long term good gut health. Unlike yogurt based food and drinks that provide temporary relief to digestion, Kefir has multiple beneficial yeasts and bacteria that stay within your gut and colonize to provide you with optimal digestive health – and because it’s 99% lactose free, even lactose intolerant people can enjoy the long list of benefits provided by Kefir. A recent study showcased that over 250 million Indians suffer from acidity and an outstanding 30% of all Indians that complain about abdominal pain actually suffer from IBS (Irritable Bowel Syndrome) – which often goes untreated. 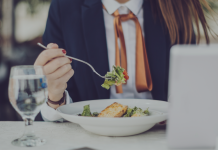 Digestive health is clearly an issue for the country and while yogurt based probiotics do help give temporary relief – there is a need gap for a longer-term solution. I think entrepreneurship has somewhat run in my family. My grandfather encouraged my father to start his own business instead of joining the corporate world and so my father became a businessman and has run his own business for over thirty years. My brother also took cue and founded and run an apparel brand for a few years before joining my father’s legacy, it was only a matter of time before I hung up my advertising boots and put on my start-up socks. I would say that our business is still in the infancy stage life cycle so any mistakes that may have happened we have rectified pretty quickly because we have a very reactive approach to our business and consumers. Our prediction is that we will face two big challenges over the next 12 months: Cold chain logistics and the unorganized retail sector in India. Cold chain logistics in India is very limiting and while there have been a few logistics partners that have been tried and tested, the delicate nature of the product and short shelf life has forced us to look at moving our cold chain logistics in-house. Another challenge is the unorganized retail sector in India. 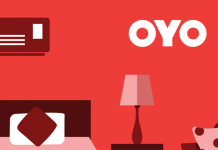 While many modern trade outlets have a very systematic approach to onboarding new vendors and are very supportive to small business owners, others are based on influence and connections which can at times become frustrating for any small business owner. The bigger challenge is traditional trade which is the more dominant and popular mode of retailing. With little or no standardization and hardly any use of technology or adherence to processes, this has become the bigger challenge to overcome since we deployed our product to market. I strongly believe our hands on approach to every aspect of the business, from production to marketing will be one of the key indicators of success. That, coupled with our ability to really listen and react at pace to what our consumers want and expect out of this category has already proven to be beneficial from a sales standpoint. The one big change I would make is dedicating more time to the business from inception. 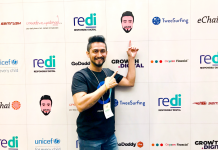 At the time of our product development (which by itself was about 8 months of product perfecting) – I already had a time consuming job that only allowed me to focus maybe 25% of my time on the business. If I got a do-over I would probably invest more time at inception resolving some of the logistical and distribution issues we are facing now so that our launch was more impactful and visible across the city. In people. My unique childhood has molded me into someone that cares about what those around me think and feel. Therefore, a lot of my inspiration comes from the people who surround me – from my family, friends and fiancé to my business partner who motivates a lot of the best aspects of the brand to the consumers that try and buy our products and how positive they feel post consumption. People are the most important aspect of my business and they are where I derive inspiration from as well. Unlike my family, I am not an avid reader, despite the library you’d find me sitting in most of any idle weekend. However, one book, gifted to my fiancé by his mentor stuck with me all these years – George Lois’ Damn Good Advice – for people with talent’ – an easy read packing with inspiration and education told through the eyes of a creative. Be persistently motivated. Nearly 10% of all start-ups fail due to the loss of motivation and passion over time, according to CB Insights. Keep fuelling your creative mind to achieve the impossible, to learn from failures and push your business further, because the reality of the situation is that most startups were not an overnight success. Look for inspiration in the everyday and fuel your business to reflect that inspiration. 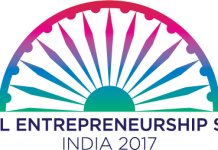 The crux of entrepreneurship lies in your ability to solve a problem faced by a larger set of people in a market. 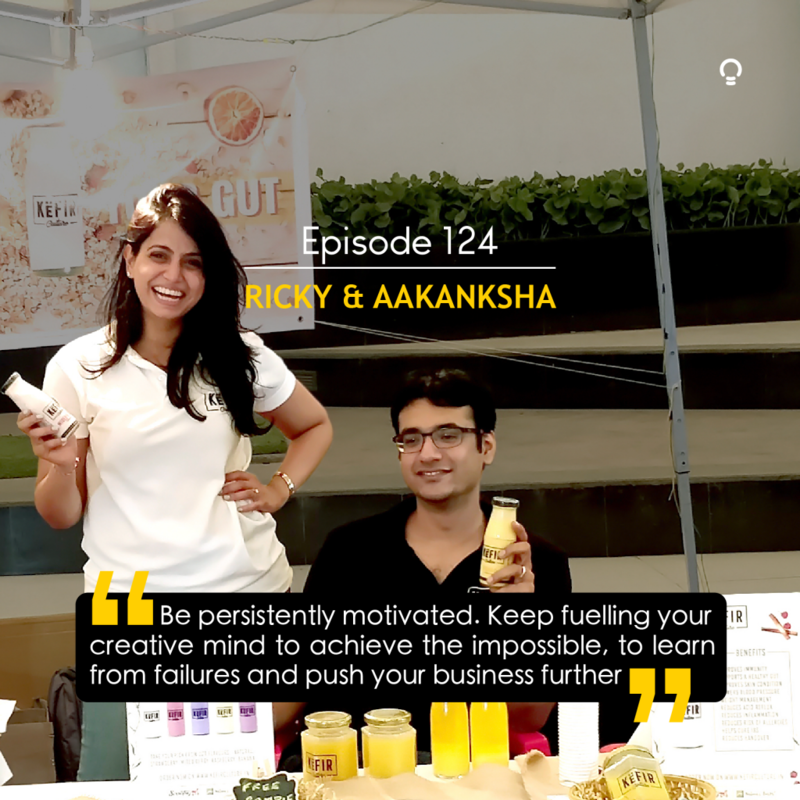 Ricky and Aakanksha came up with Kefir Culture to address the gut-related issues that stem from one’s food habits. 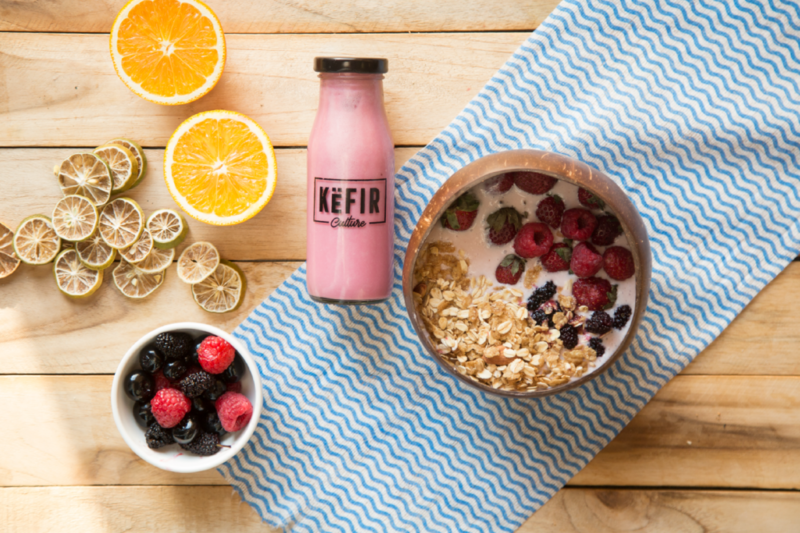 As entrepreneurs, this duo put their heart and soul into developing Kefir Culture. The extensive research at the early stage helped them position their product rightly in the market. 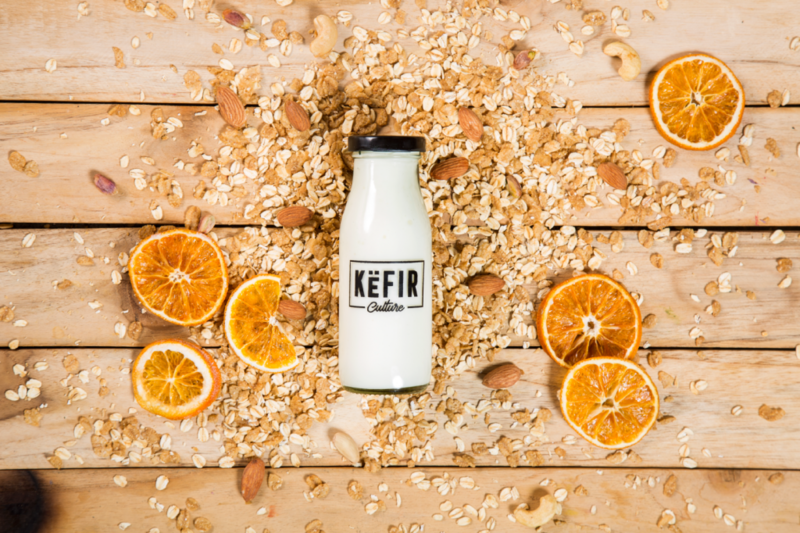 Within a short span of time, Kefir Culture has become an ideal choice for the health enthusiasts as it comes with a number of health benefits. Ricky and Aakanksha are now all set to tackle the little hurdles and take Kefir Culture to new heights. Click here to follow Kefir Culture on Instagram.  \Want to tell your startup story? 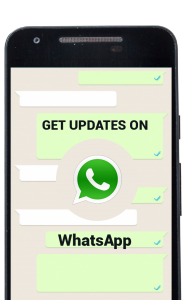 Write to us now to get featured.